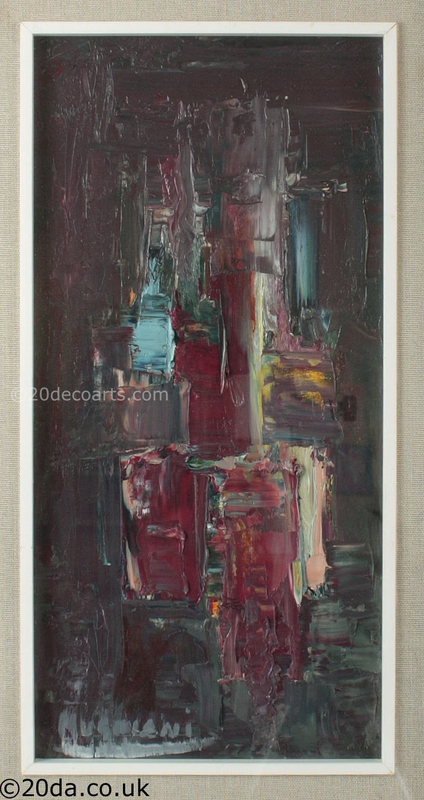 An abstract oil painting, Italy c1960. 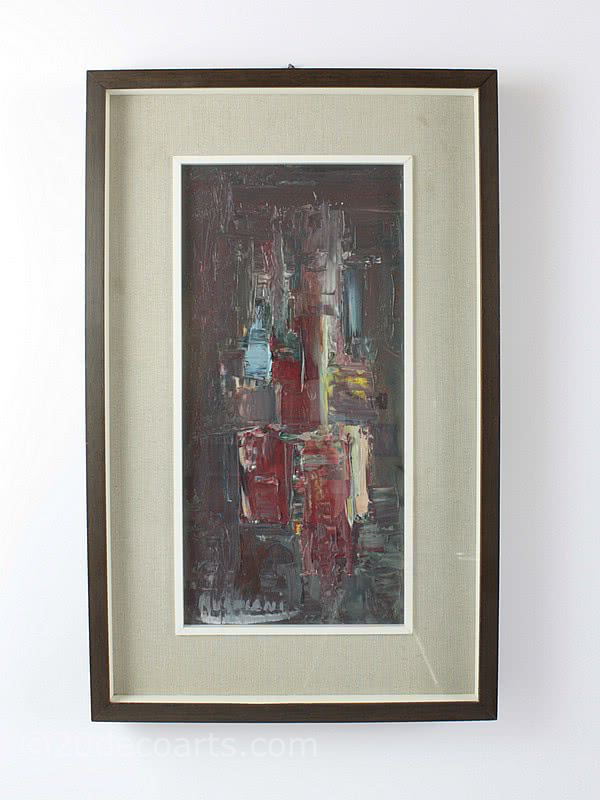 signed Mugniani, in its original frame. Slight marks to frame and woven insert.